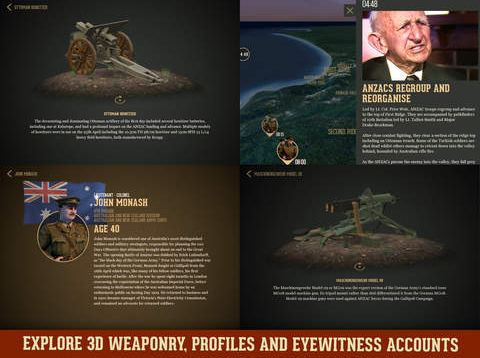 The iPad app Gallipoli – the first day is a great resource with some excellent interactive features including video, audio, interviews and information about the units that served in the campaign and the weapons they used. 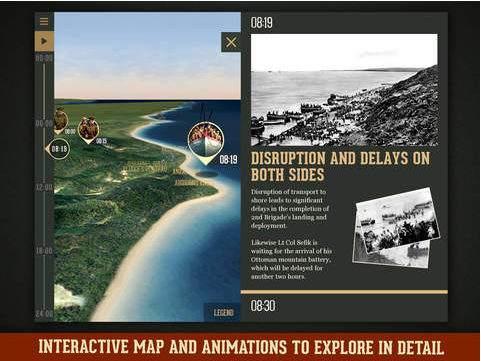 Through the use of dioramas, animation and narration, you can see the first day of the Gallipoli landing and all its major events (about 15-20mins). 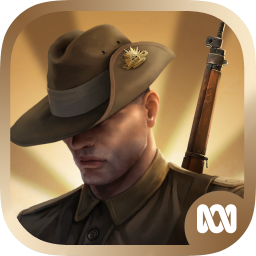 You can also go deeper into each event and understand what it was like for the soldiers involved. 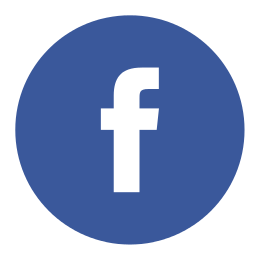 There is also an online version which can be accessed here. 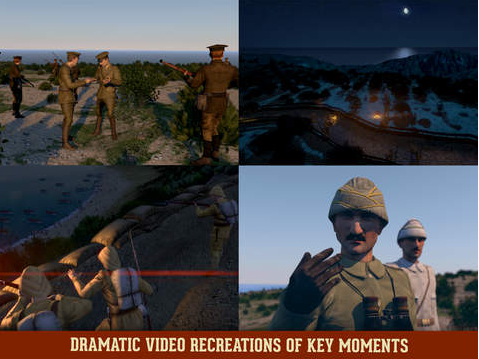 The online version has the same information, but the quality of the animation is not quite as good as the iPad app – still a great resource for students. One of the engaging aspects of the iPad app is that it allows students to create an account by entering their name which tracks their progress through the app. 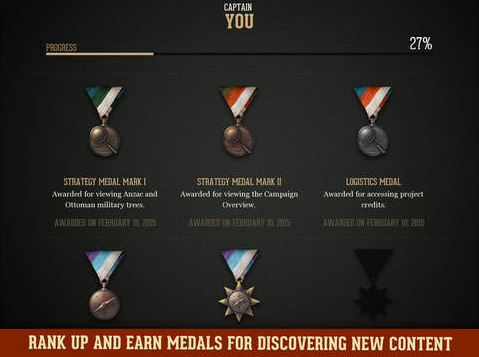 As students complete different aspects of the app they achieve various medals and military ranks. 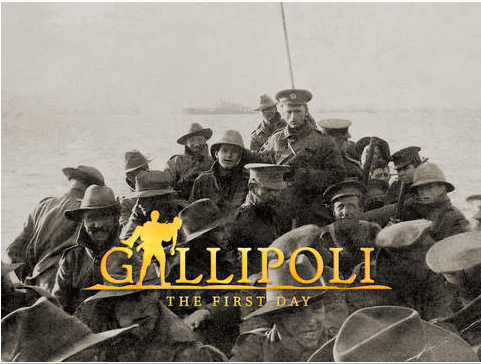 I came across this resource (produced by the ABC) while looking for information on the Australian Curriculum Lessons website to use with my Year 9/10 history class this coming term. 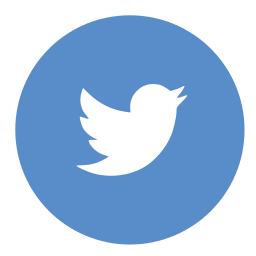 I would highly recommend this website if you are looking for lesson ideas linked to the Australian Curriculum. For teachers at PBAS this app has been put onto the class set of iPads. This entry was posted in Australian Curriculum, iPad Apps, Resources and tagged Australian Curriculum, resources.